It’s been around three weeks since the first post and pictures about the Amaryllis “Apple Blossom” that we have. 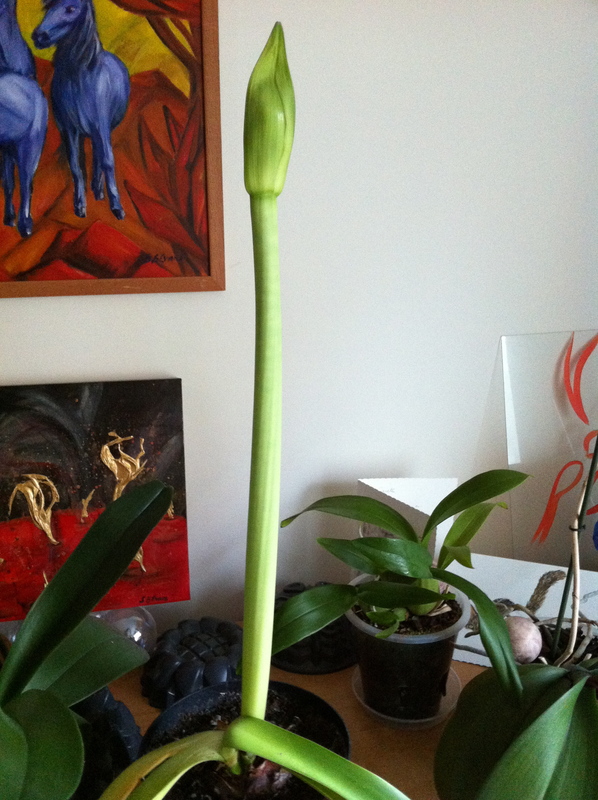 The flower spike has been growing higher and higher as the remaining leaves have started to die off. We’re expecting this one to begin flowering in time for Christmas.